Google’s homepage doodle featured artwork celebrating black history, and included a sign that said “Black Lives Matter,” long after the Islamic State inflicted deadly attacks across Brussels, Belgium. Gunshots were first reported at 8:00a.m. local time in Brussels. That’s 3:00a.m. Eastern Standard Time. Google posted the artwork on its homepage on Monday, the 21st, and didn’t remove the image until shortly before 1:00p.m. EST on Tuesday, March 22. That’s hours after President Barack Obama, other world leaders, and Belgium officials released statements and information about the coordinated attacks that claimed at least 34 lives. Indeed, according to Archive.org, the pro-BLM Google doodle was still on the Google homepage at 12:50p.m. EST on Tuesday. The Google doodle was the result of an annual competition put on by the tech giant. 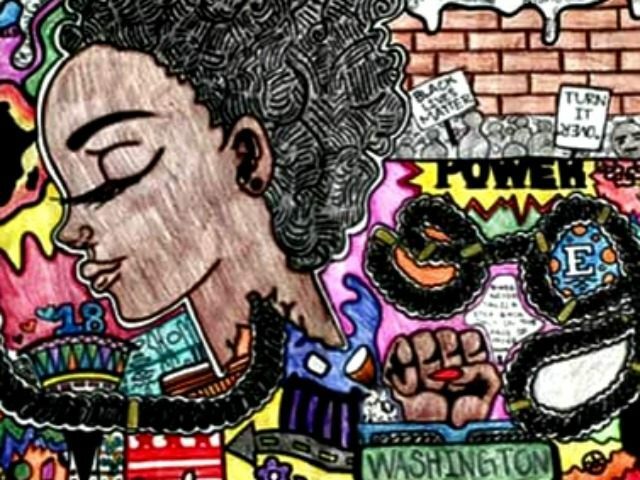 Out of 100,000 participants, Akilah Johnson, 15, from Washington, D.C., won the competition, which rewards a $30,000 college scholarship, a $50,000 education-technology grant for the winner’s school, and the winner’s artwork prominently place on Google’s homepage. In addition to featuring the highly controversial slogan “Black Lives Matter,” Johnson’s Google doodle pays homage to the likes of Nelson Mandela and Frederick Douglass.